This charger is having a new power plant installed, a cool V10 Viper motor. Suspension upgrades, air conditioning, bigger brakes, etc. Stay tuned for the cool transformation. Car is painted and returning. Assembly has started!! 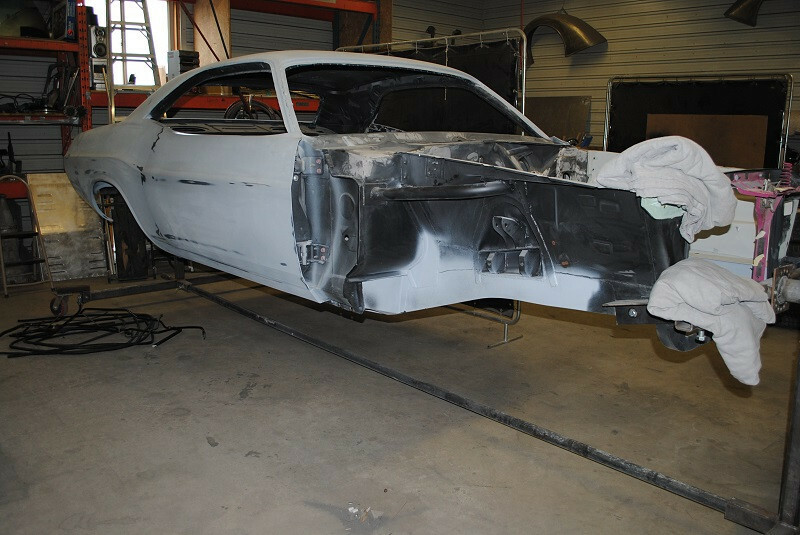 As an update Sept 2018, we have been struggling to find an ECM and a wiring harnass for this project as Mopar has discontinued, causing the car to be on hold while we find both. Have finally found and car should continue with assembly within a couple of weeks. Sorry for the delay!